Chelford Market will hold its last sale on its current site on March 30. The closure of Chelford Market, Cheshire, has been confirmed by the directors of Wright Marshall and it will hold its last sale on March 30. The Chelford business will be relocated to the firm’s site at Beeston Castle in the short term. The landlords at Chelford have entered into a conditional contract to sell the site to a development company. Described by the directors of Wright Marshall as a ‘bitter disappointment’, they have been looking for an alternative site for many years. It is reported a planning consent for a new market at Middlewich was obtained in March 2014, in conjunction with developers Pochin, but these plans hit their own hurdles. There has been market at the Chelford site since 1911, but the landlords, who include former partners of Frank Marshall, secured planning consent for the site six years ago. Wright Marshall had hoped to coincide its departure from Chelford with a move to a new site, but once that hit the buffers it meant they were forced to leave Chelford without a new home immediately ready in which to merge Chelford and Beeston marts. Gwyn Williams, of Wright Marshall, said: "Good progress has been made on other options recently, and the firm had been attempting to negotiate a longer extension to the lease at Chelford to enable completion of a deal to move the business to a new site to coincide with moving out of Chelford. "Subsequent attempts to renegotiate terms upon that site have come to nothing, nor has the firm been successful in applications for grant funding from a number of sources." He added: "We have been a three month rolling lease at Chelford for some time and the landlords have given us extended occupancy. If we could have moved in the summer of 2015 it would have coincided well, but that has not been the case." It is understood Wright Marshall is still looking at a site close to the motorway for a new auction mart, but this is currently being held up. 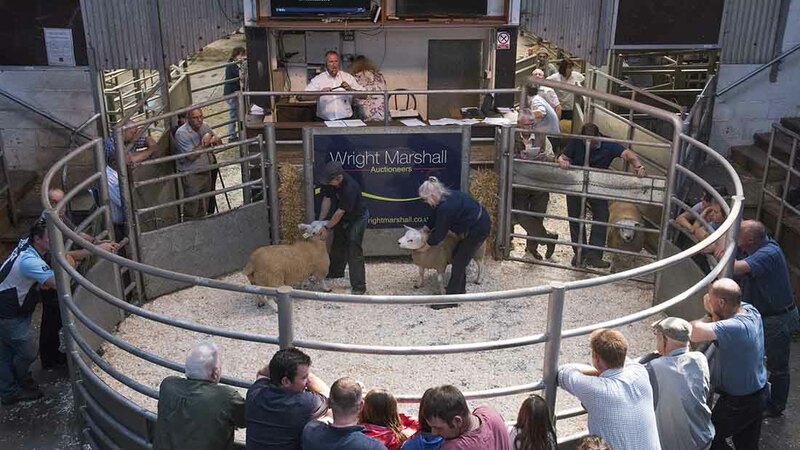 Wright Marshall said it remained committed to providing an auction sales service to the agricultural and rural community, and are continuing with negotiations over a possible new site. Chelford’s Monday and Thursday sales will take place at Beeston on a Thursday, with a horticulture sale there on a Wednesday and the calf sales on a Friday.